This is the second post in “Unpacking the Open Budget Survey,” a series of blogs exploring the richness of the Open Budget Survey data and some of the different ways they can be used. Supreme Audit Institutions (SAIs) are crucial government bodies that verify whether public money is being used effectively and lawfully, and assess whether the fiscal information being produced by governments is complete and reliable. Despite being fundamental to a well-functioning budget system, most citizens have a limited understanding of their role and functions. 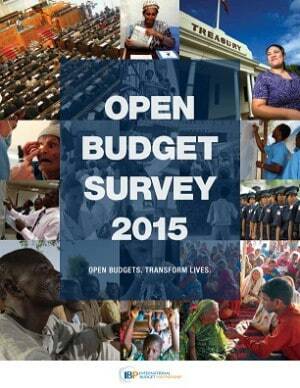 Since 2006, the Open Budget Survey (OBS) has sought to measure the role and effectiveness of SAIs and their contribution to more accountable budgets. In this blog we examine the strengths and weaknesses of oversight institutions based on the data from the latest round of the Survey. The OBS 2015 found serious shortcomings in the conditions of how SAIs in many countries operate and report their findings. For example, a large number of SAIs lack independence from the executive government – the prime targets of their audits. This problem is particularly prevalent in the Middle East and North Africa (MENA) and in Sub-Saharan Africa, where the head of the SAI in many countries can simply be removed by the government without the approval of the legislature of the courts (see Figure 1). 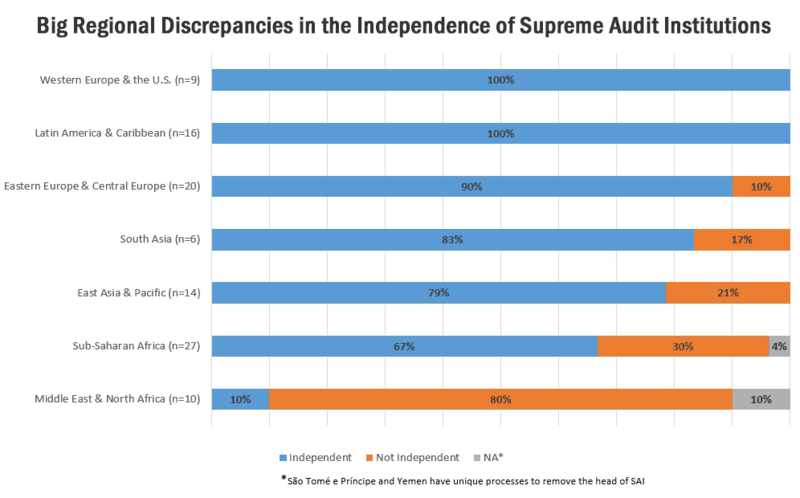 Figure 1 (click to enlarge): Big Regional Discrepancies in the Independence of Supreme Audit Institutions. The 2015 Survey also uncovered a lack of transparency in audit findings. In more than a third of the countries surveyed (35 of 102), audit reports are either not made available to the public or are published too late to have an impact. Countries in MENA and Sub-Saharan Africa are again the weakest performers: eight out of 10 MENA countries and 15 out of 27 Sub-Saharan Africa countries failed to publish audit reports within 18 months of the end of the budget year. Legislatures in almost half of the countries surveyed (49 countries) did not hold public hearings to review audit reports. 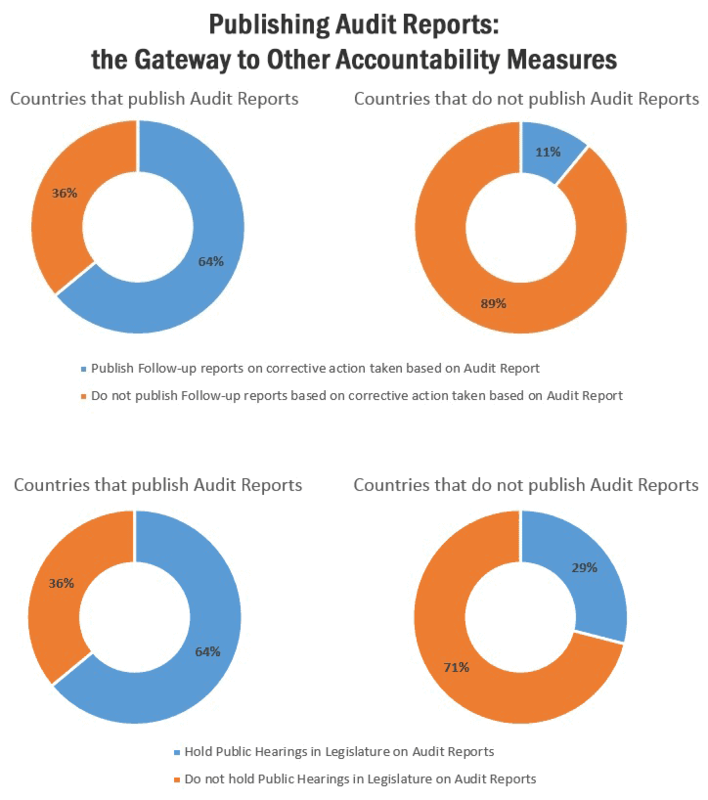 And more than half (55 countries) failed to publish a report tracking follow-up actions on audit reports. This means that, in a great many countries, the public is kept in the dark on both the findings of an audit and what the government is doing to address them. Results from the OBS 2015 reveal a strong link between making audit reports publicly available and other measures for improving the transparency and accountability of the audit system. Indeed, the data show that countries that publish audit reports are more than twice as likely to hold public discussions on audit findings and almost six times as likely to publish reports on corrective actions taken by the executive (see Figure 2). This makes it even more important that countries that are currently not publishing their audit reports take this first step towards bolstering the accountability system. Are Legislatures Filling the Gap? The OBS 2015 findings show that SAIs in many countries have not lived up to their potential to be an effective protector of the public purse. While weaknesses in SAIs are an important limiting factor, external factors can often play an equally important role in diminishing the impacts of audits. For example, most SAIs cannot use their findings to directly sanction governments or compel executives to take action. Instead, they typically submit their audit reports to legislatures, which are then responsible for using these reports to hold executives to account. Legislative scrutiny is conducted after major delays. In 47 of the 59 countries, audit reports are submitted to legislatures within 12 months of the end of relevant budget year. But in almost half of these 59 countries, audit reports are either never examined by legislatures or their reviews take more than 12 months to complete. Delays in legislative review are more prevalent in countries in South Asia (four of five countries) and Latin America and the Caribbean (six of nine countries) than in countries in Sub-Saharan Africa (13 of 22 countries). Legislative scrutiny is weak. In 47 of the 59 countries, legislatures did not hold in-depth hearings with responsible officers from all or most of the audited entities that received an adverse audit opinion. In more than a third of these 59 countries, legislatures failed to issue any recommendations on actions that should be implemented by the executive. Latin America and the Caribbean is the weakest performing region with six of nine countries assessed exhibiting poor performance. The executive ignores legislative recommendations. Because audit reports – when they are published – rarely receive much attention from the public or the media, governments often face little pressure to take them seriously. Powerful executives can undermine legislative accountability efforts by simply choosing to ignore audit recommendations. In the vast majority of countries (55 out of the 59) there was no evidence that the executive had implemented audit recommendations issued by legislatures. SAIs should be legally independent institutions. This is particularly relevant for countries in the Middle East & North Africa and in Sub-Saharan Africa. National legislatures should hold timely and in-depth hearings on audit findings and issue recommendations on corrective actions to be implemented by responsible officers from audited entities. Changes to strengthen legislatures’ audit reviews are particularly critical in South Asia and Latin America and the Caribbean. The public and the media should have access to timely audit reports and the discussions they prompt in legislatures. This is a problem widely confronting countries in the Middle East & North Africa and in Sub-Saharan Africa. The public should also be provided evidence on corrective actions taken in response to audit findings, something that is currently lacking in almost all countries. It is a good point to focus in what happen after SAIs publish their audit report. Analysis traditionally are based on which functions have SAIs and ask how independent are they from executive branch. Audit process doesn’t end when audit reports are delivered. How do SAIs enforce recommendations and correcting measures, how do legislatures review audit reports and proceed according to their findings. how do public managers are aligned whith control actions, all these are pertinent questions.